Sri Marudeeswarar Temple at Thiru Idayaru (T.Edayar). Thiru Idaiyaru is at a distance of about 35 kms from Villupuram on the Villupuram to Thirukovilur route (via Thiruvennainallur). 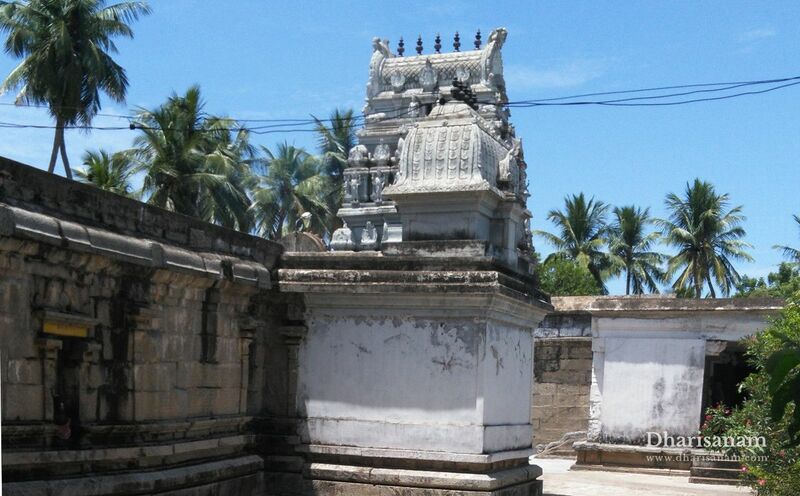 Another nearby Devara Paadal Petra Sthalam is Thiruvennainallur which is at a distance of about 5 kms. 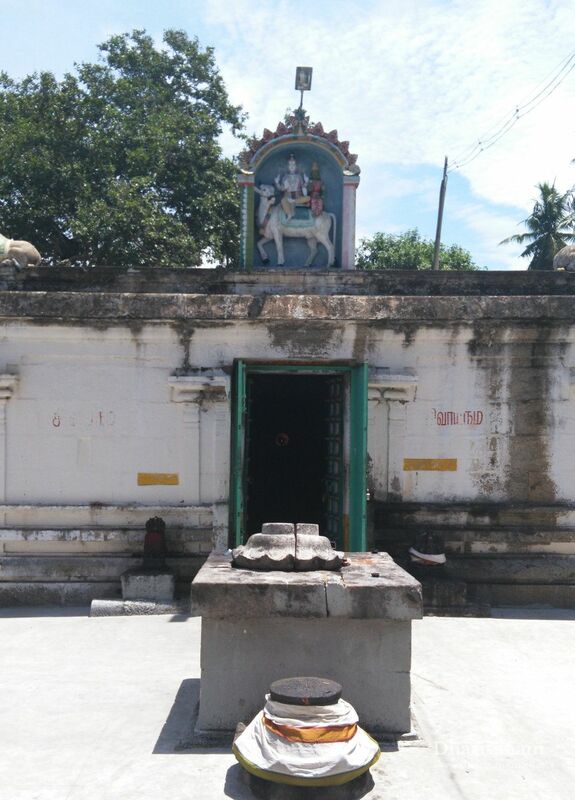 This is one of the 276 Devara Paadal Petra Shiva Sthalams and 13th Shiva Sthalam in Nadu Naadu. 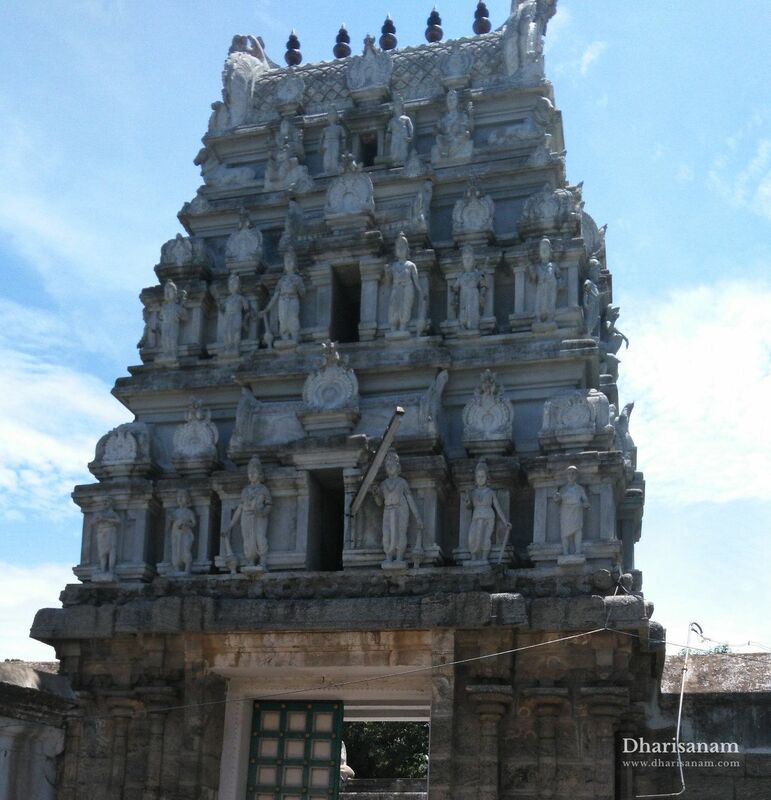 This is a west facing temple and its main tower (Rajagopurm) has 3-tiers. There is no flag post (dwajasthambam) in this temple. This is the birth place of the saivite guru Marai Gnana Sambandar. The temple is located between the rivers South Pennai and Malattaru, on the southern banks of Pennai river. The historical name of this place is “Thiru Maruthanthurai”. 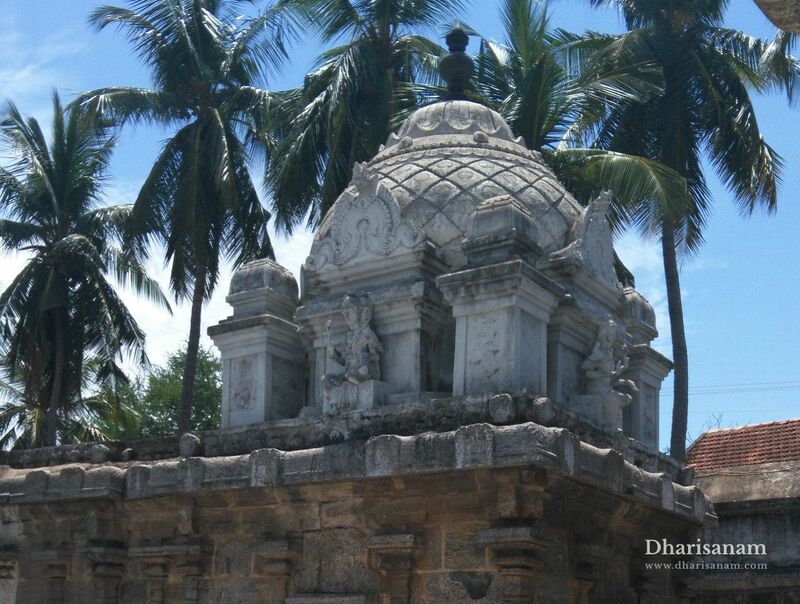 This ancient temple is believed to have been constructed during the time of the Chola dynasty. There are 18 stone inscriptions belonging to the Chola, Pandiyas, Vijayanagar and Chalukiyas periods. Sage Agasthiyar is believed to have visited this place during his pilgrimage. 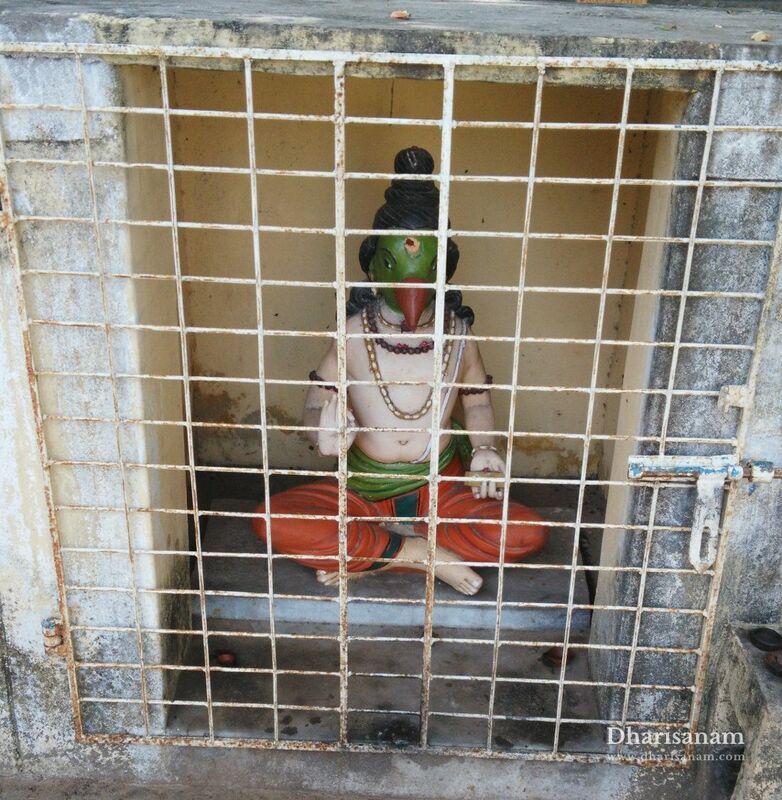 He is also believed to have been installed a lingam and worshipped it. 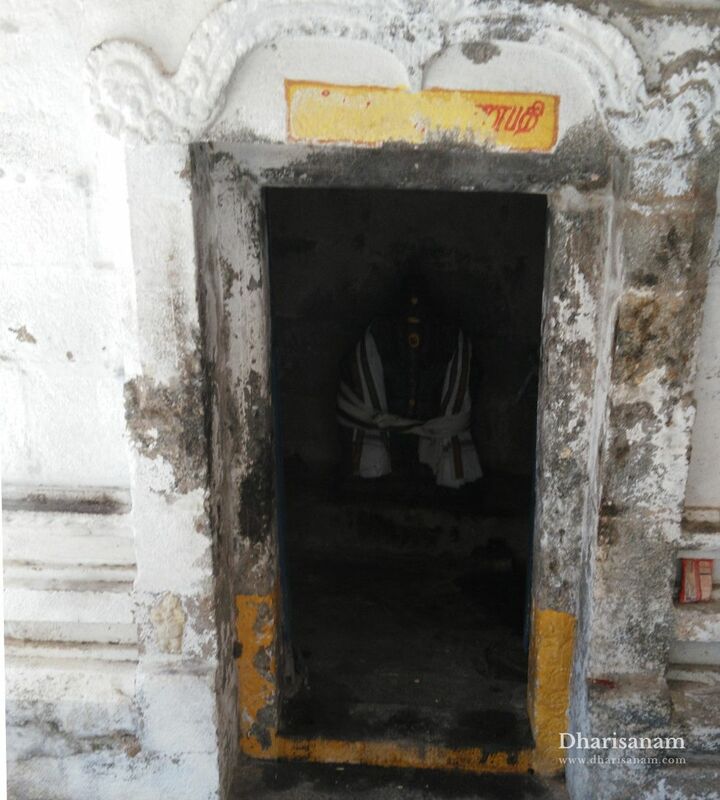 This lingam is praised as “Sri Agastheeswarar”. Sage Agasthiyar’s idol can also be seen here. Another legend associated with this place is that of the sage Sukhar Brahma Rishi. He is believed to have been an expert in changing forms. Once he took the form of a parrot and flew to Mount Kailash where he saw Lord Shiva imparting the knowledge of “Shiva Gnanam” to Goddess Parvathi. Curious to learn the Shiva Gnanam, the sage, in his parrot form, flew towards Lord Shiva and Goddess Parvathi. Upon noticing him, Goddess Parvathi cursed him to be born on earth. The sage begged Lord Shiva for pardon. Lord Shiva informed him that he would be born to Sage Veda Vyasa and he would live in Thirumaruthanthurai (Idayaru). He further advised him to do penance under the “Marutha” tree to be absolved of this sin and to seek solvation. However, during his period on earth, he would have human body with the face of a parrot. “Sukha” in Sanskrit means parrot. It is believed that on the day of the Swathi nakshatra, Lord Shiva gave dharisanam to Sage Sukhar Brahma Rishi and taught astrology (Jothidam) to him here. Another interesting story is that Sukha Brahma Rishi was also an ardent devotee of Lord Ram. He was blessed with Lord Ram’s darshan at the Yoga Ramar temple at Nedungunam. It is believed that Lord Brahma, Sapta Madakkal, Saint Sundaramurthy Nayanar and Saint Maraignana Sambanthr have worshipped Lord Shiva in this temple. 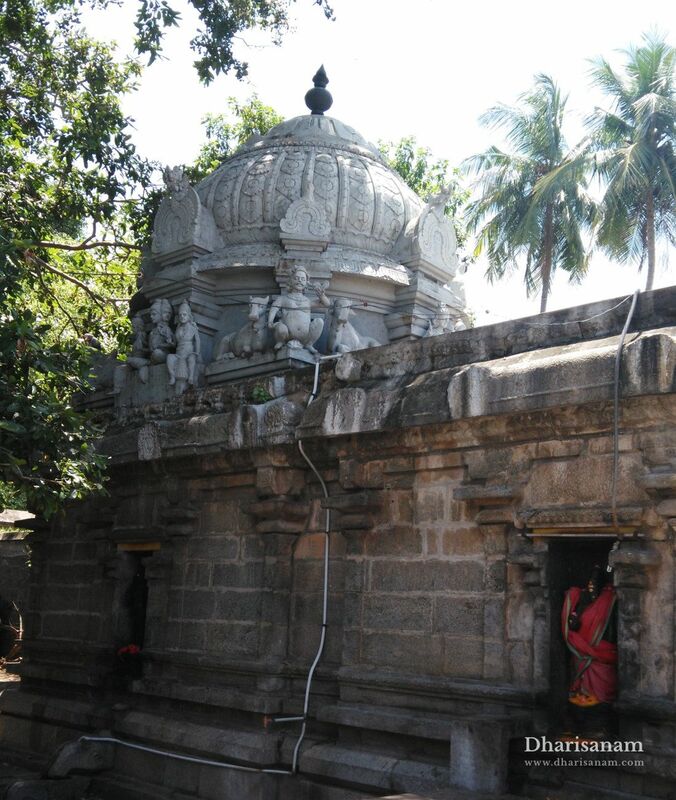 In this temple, Lord Shiva and Goddess Parvathy are depicted in their wedding posture. They can be seen facing each other. Lord Shiva’s shrine faces west while Goddess’s shrine is facing east. Shrines and idols of lords Balamrutha Vinayakar, Murugan with his consorts, Dakshinamurthy, Durgai, Chandikeswarar, Agastheeswara Lingam, Saptamadakkal, Navagraham and Saint Maraignana Sambanthar can be seen in the corridors. There is also a small shrine for Sukha Brahma Rishi in the outer corridor. As Sukha Brahma Rishi is believed to have worshipped the lord here, there are a lot of parrots in this place. Traditionally, Lord Murugan (as Somaskanda) is seen between the shrines of Lord Shiva and Goddess Parvathi. However, in this temple Lord Vinayakar (Bala Ganapathy or “Infant Ganapathy”) occupies Lord Murugan’s place. As per the stone inscriptions available here, Lord Vinayakar of this temple is also named as “Marutha Ganapathy” and “Polla Pillayar”. Interestingly, Lord Murugan is referred to as “Kaliyugarama Pillayar”. This is the birth place of the saivite guru Marai Gnana Sambandar. He is the third of the four “Santhna Kuravar”. It is believed that he was blessed by Lord Vinayakar (in his Polla Pillayar form) here. 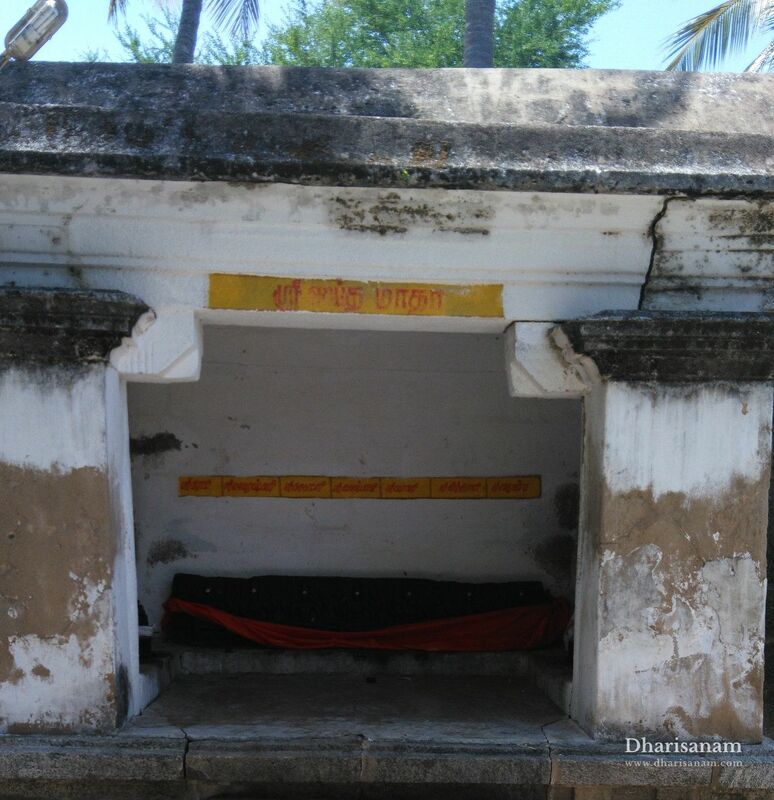 At a very young age, he is believed to have moved to Pennadam since it is the birth place of Saint Meikandar (the first Santhana Kuravar), He is known as Maruthai Marai Gnanasambandar and Kadanthai Marai Gnanasambandar. Kadanthai is the historical name of Pennadam. There is another shrine for Lord Vinayakar here which can be seen in the midst of a farm at a distance of about one kilometre from this temple. It is believed that this is the Vinayakar that blessed saint Marai Gnanasambandar. This Vinayakar is also praised as Maruthai Pillayar and Gnanasambantha Pillayar. 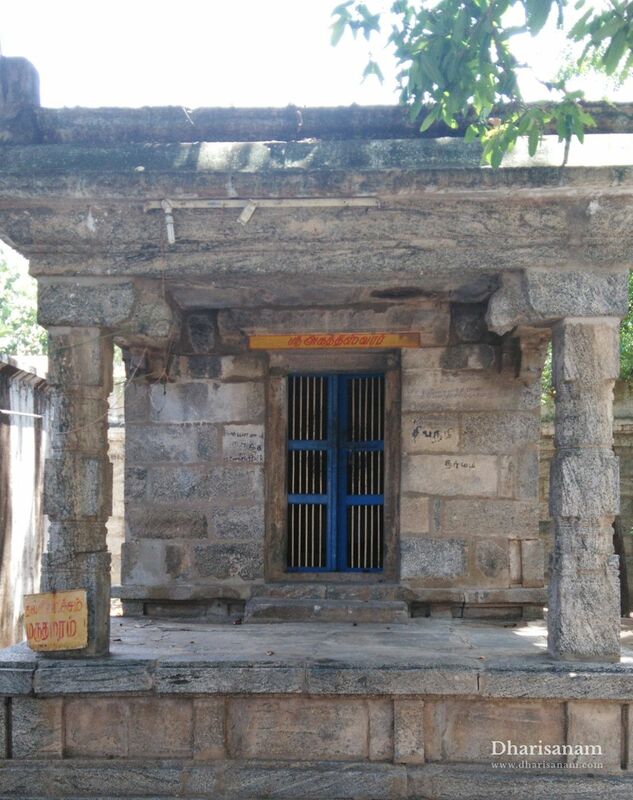 When Saint Sundararamurthy Nayanar rendered his Pathigam in this temple, he mentioned various other famous Shiva temples and said that this temple is as good as them. It is believed that Lord Suryan (Sun) worships Lord Shiva of this temple by directing his rays on the lingam on the 15th and 16th of the Tamil month of Maasi (Feb-Mar) from 5.00 p.m. to 5.15 p.m. 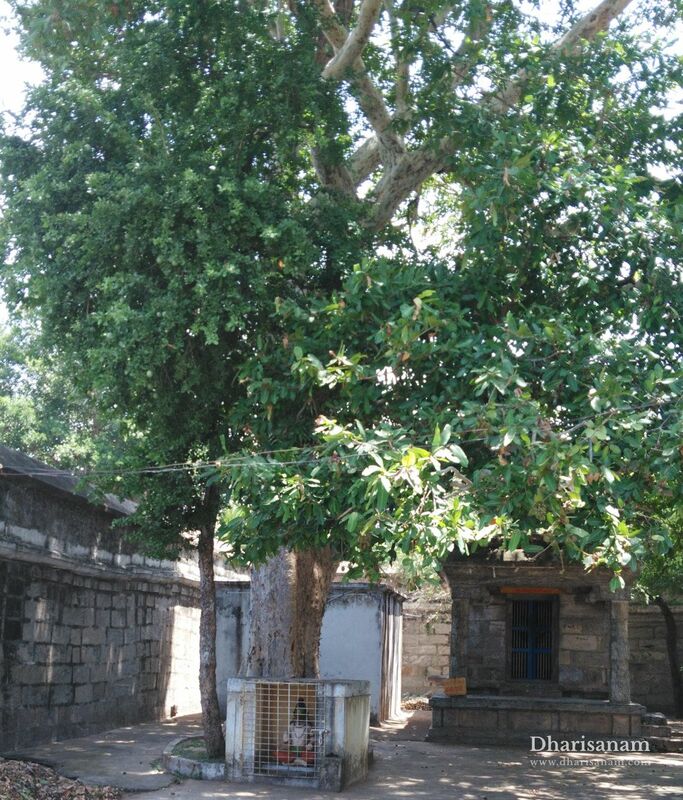 In this temple, Lord Shiva is facing west and Goddess Parvathi is facing east, as if they are exchanging garlands. Hence this temple is famous with devotees seeking wedding boon. Devotees facing prolonged delays in their marriage proposals worship the lord here and take the garlands exchanged between the God and Goddess to their homes. It is believed that doing this will remove obstacles from their marriage proposals. The most important festival celebrated in this temple is “Aattru Thiruvizha” (River festival) in the Tamil month of Thai (Jan-Feb). Surya Puja is performed in the temple on 15th and 16th of the Tamil month of Maasi (Feb-Mar) from 5.00 p.m. to 5.15 p.m.
From 06:00 AM to 11:00 AM and from 05:00 PM to 08:00 PM. Tele: + 91 04146 216045 / 206515; Mobile: 94424 23919. Contact the temple priest and Trustee, Sri R.Gnanaskantha Gurukkal at 098847 77078. Saint Sundaramurthy Nayanar visited this temple and sang this Pathigam.